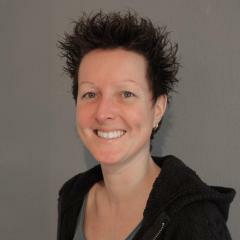 Marienke van Middelkoop studied Human Movement Sciences at the VU medical University in Amsterdam. She received her PhD on running injuries in 2008 at the Erasmus MC Medical University in Rotterdam the Netherlands. As a postgraduate she completed a series of systematic reviews on chronic low back pain and neck pain. She is currently employed as an assistant professor at the Department of General Practice at the Erasmus MC Medical University in Rotterdam, the Netherlands. She has published 41 international peer reviewed articles and was the applicant of several successful grant applications. In 2011 she received an EUR fellowship for her grant application on patellofemoral pain. Her research is mainly focused on (sport related) musculoskeletal complaints and physical activity and obesity in adults and children. She is currently supervising 8 PhD students on projects involving patellofemoral pain, ankle sprains, foot complaints, running injuries and overweight in children in primary care. Since 2012 she is the coordinator of the osteoarthritis (OA) trial bank, which will be used to analyze the subgroup effects of different treatments in OA patients.